We are specialised in weaning calves. We get the animals in breastfeeding and raise the calves until they are old enough to start their feeding stage. This stage of the breeding process will have an effect on the animal’s health and growth for all its life. 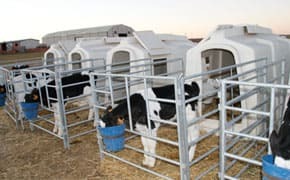 "In a society which advocates for the responsibility of animal welfare, we have acquired the maximum commitment to provide the best living conditions for the animals." Thanks to our vast experience and the perseverance in improving our work, we have gathered great knowledge on handling this type of animals. We make use of this knowledge to do different breeding projects by programming all the animal handling actions during their weaning and breeding process. We are committed to the continuous improvement of the breeding process. We integrate all the animal breeding processes to offer the product with the characteristics demanded by the client. Nourishment. To provide adequate and optimal food in the best conditions, it is essential to satisfy the animal’s nutritional requirements. Management. We work giving the required attention to the animals in each growing stage, reducing the stress moments. Health traceability. We go through effective vaccination protocols and individualised monitoring of each animal. Detailed cost control. The most effective production is the one which knows all its costs in detail. Data analysis. We monitore animal restocking and conversion rates. Sanitary obligations. We perform the tasks required in official vaccination campaigns to contribute to the eradication of diseases and to have the widest mobility capacity of animals. The beginning of our livestock farming is found in 1986. 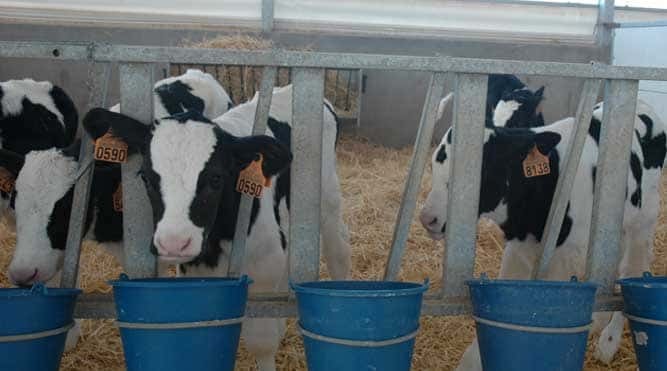 From the beginning we opted for the weaning and breeding of Friesian breed calves, establishing the most appropriate cowsheds for each breeding stage. By the year 2000, some adjoining lands were acquired bringing together the 10 hectares which accommodate our facilities with the possibility of extending them. In June 2013 the limited liability company Frisones Verbo was founded bringing out the second family generation in the management of our livestock. 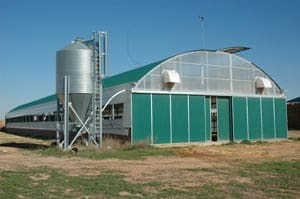 We possess facilities adapted to the process of weaning and upbringing calves with a storage capacity of 2000 heads of livestock.